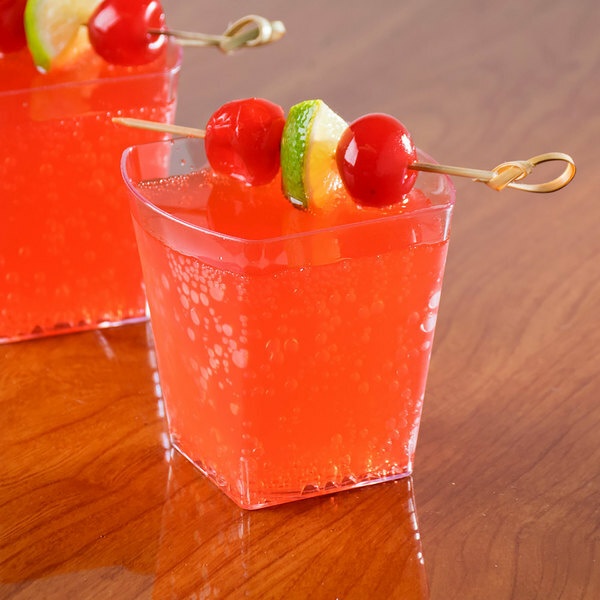 Delight your guests with a signature cocktail delivered with first-rate style in this Fineline Tiny Temptations 6403-CL 5.4 oz. Tiny Tumblers clear plastic cup. 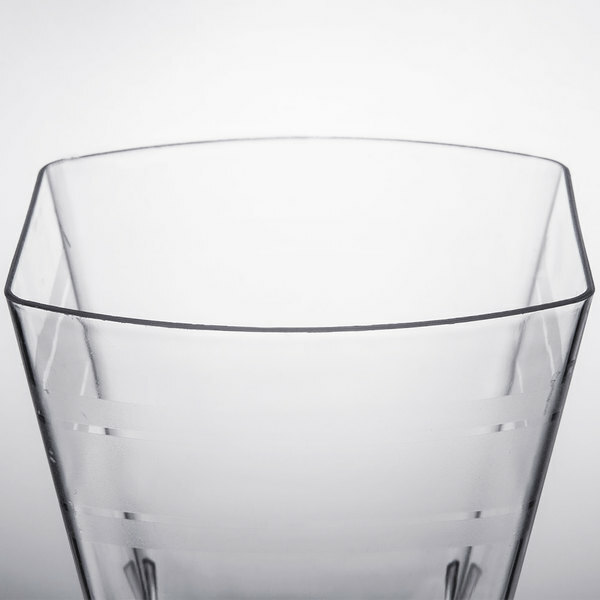 The chic and petite design offers a tall order of cheer in a small clear plastic cup. 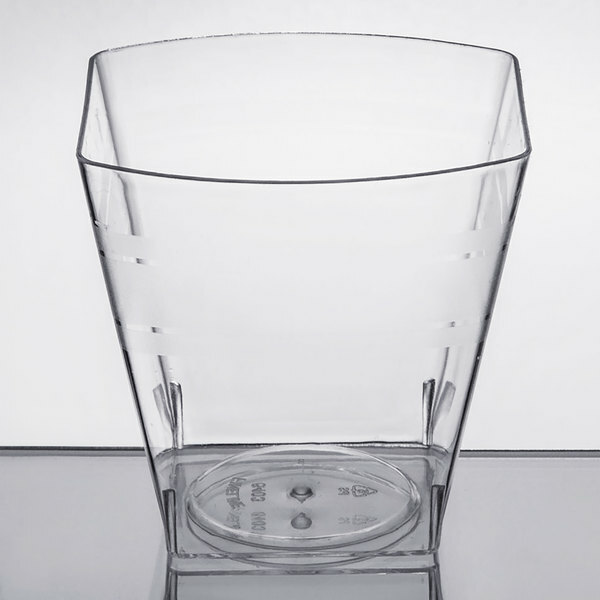 Tiny Tumblers brilliantly combine the convenience of disposable plastic with the elegant appearance of glass in a sleek, modern design that will refashion every meal into a stylish occasion. Great Cup. These cups are great for drinks, desserts, appetizers, you name it. they are sturdy and look great! Super Recommended and will definitely use again! 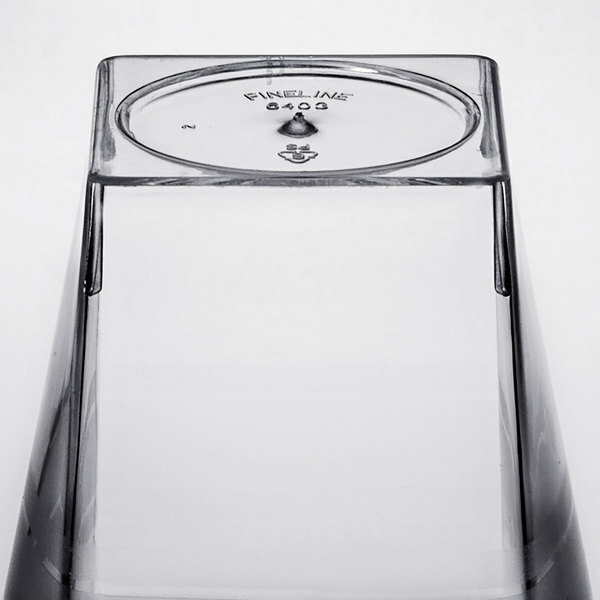 Perfect for serving dessert for a special senior luncheon. Piped chocolate mousse into the cup, topped it with whipped cream and chocolate shavings. It looked very elegant but easy clean up. Less fragile than glass so no worries about seniors accidentally dropping the cup. These tiny cups were perfect for our tasting party. 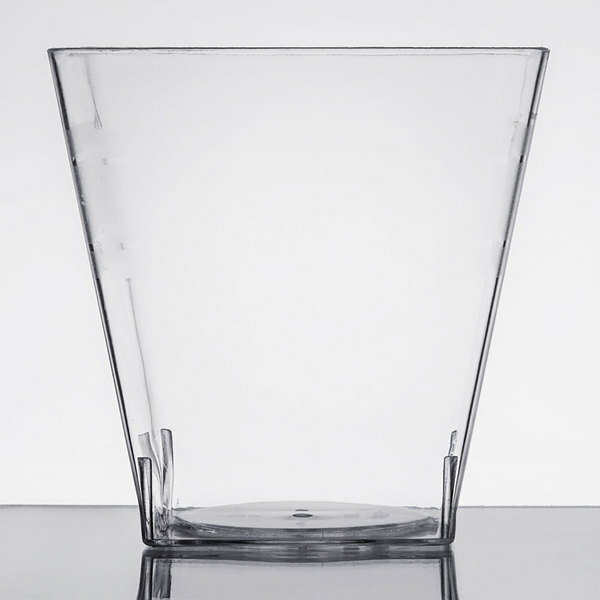 As elegant as a real glass cup at a fraction of the cost. Great product and price. 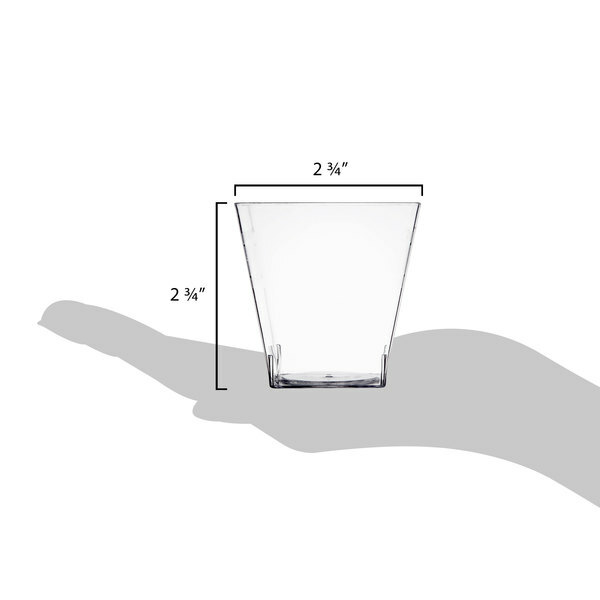 These tumblers are perfect size for a dessert shooter! They have a really nice presentation and are very sturdy. We made yogurt parfaits for a brunch buffet with these and they were a big hit! If you need a small, disposable cup that looks high quality and elegant, this will suit your needs. It would look great for appetizers or small desserts. Perfect! We used these for our wedding as the wine glasses. When they came I was disappointed in the size as they look deceivingly small. However, they are just the right size for a classy party! The square shape was different which is what drew me to buy these. Using for a parfait at a wedding reception. The size is perfect for a small taste for everyone and the price was very good. Would recommend and buy again. These are really great for a more "stylized" catering. We used them for small appetizer soups that were tray passed at a wedding. I also plan to use them as sample, mini cocktails for a bridal show. Love them! Great for drinks or desserts. I used them for a wedding and made mini parfaits in them, they looked great and easy for guests to walk around with them in hand. great for mousse cups! We use these instead of the standard mousse cups and it ends up saving us a lot of money!!! these have lines on them so it gives it a nicer look than just plain cups!